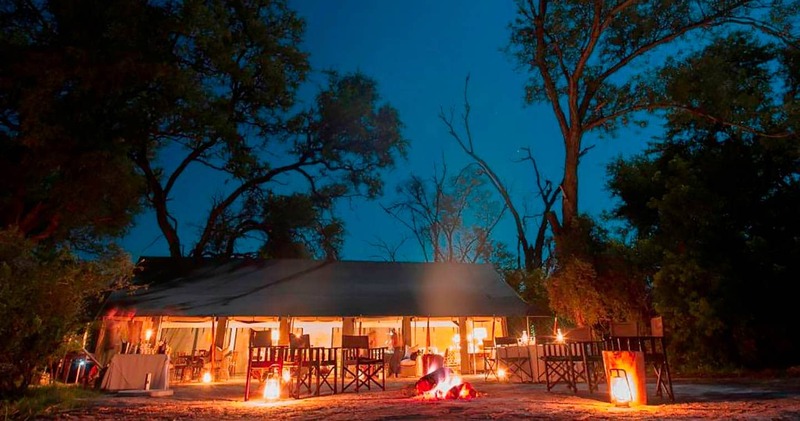 Little Machaba, in the game-rich Khwai area of the eastern Okavango Delta, overlooks the Moremi Game Reserve. 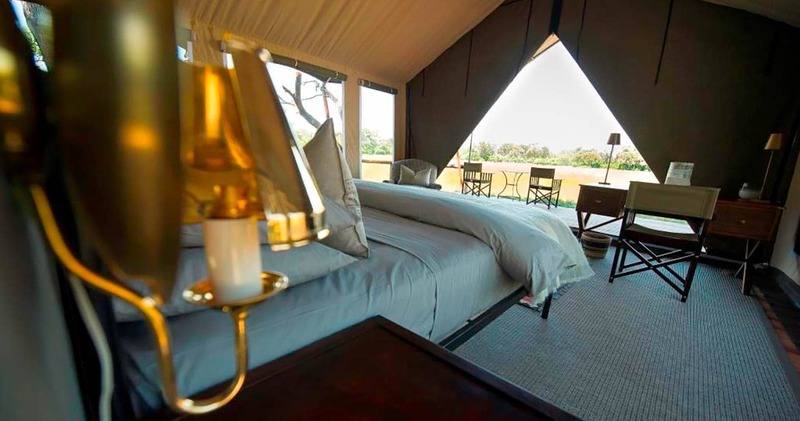 Nestled within the riverine vegetation along the Khwai River, the camp boasts on-going animal sightings due to its prime setting. 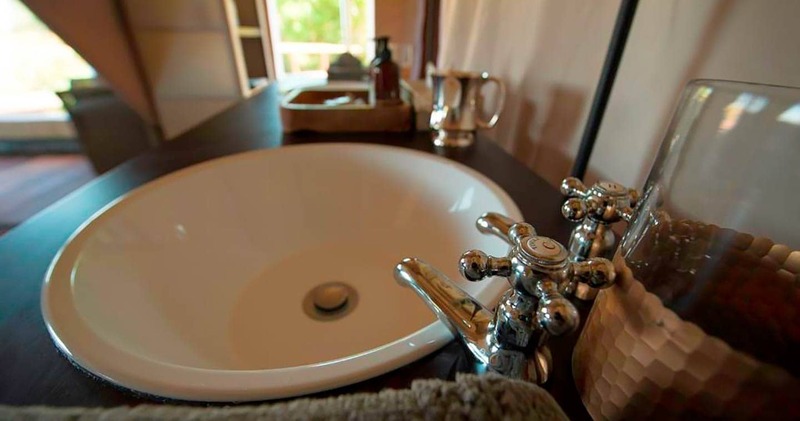 Built in the classic 1950s style, it has the charming safari feel of a bygone era, and attractive furnishings throughout. 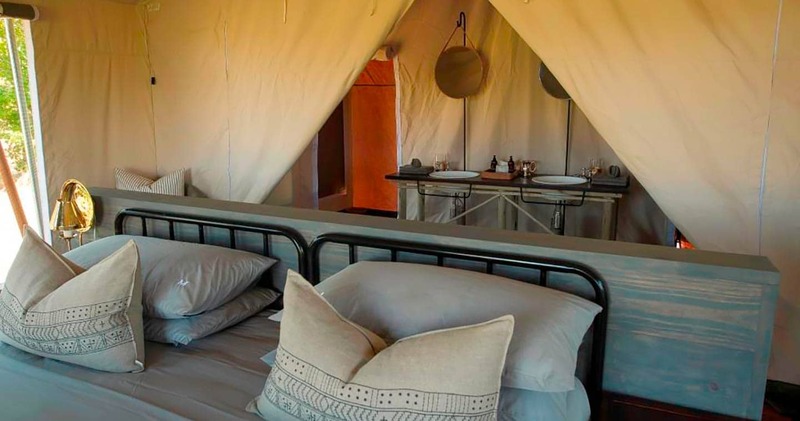 Little Machaba is ideal for small groups looking for exclusivity and consists of 4 luxury tents, two of which are for families (children under 12 welcome when camp is booked on exclusive-use basis). Spacious and constructed on elevated platforms, the feature basic electricity and private verandahs from where guests can make the most of the flood plain views. Meandering forest pathways link to the open-plan main areas ideal for socialising or dining whilst absorbing the picturesque scenery. A pool affords welcome relief during warm days. The food served at Little Machaba is a wonderful mixture of local cuisine flavoured and cooked in good old fashion home style cooking. Little Machaba like to call this bushfare. The chefs come from Botswana and try to set up meals under the stars at night and vary dining experiences with every meal. Activities include morning and afternoon game drives (off-roading and night drives permitted), visits to the local community and short mokoro excursions (water-dependent). Guided walks are subject to the availability of a qualified walking guide. We spent 4 nights at this camp and it's difficult to say which was better. The serene surroundings with the hippo and elephants in the river, the game drives with our guide Moreri, tracking the leopard and her cub, the sumptuous picnic lunch in the bush, a walk with the zebras, hyena cubs nibbling at the tyres, buffaloes with flaming eyes in the night and the dinners under starlit African sky with Richard the camp manager vie with each other as prime experiences. A unique safari experience in comfort probably sums it up. Lisa at Safari specialists deserves a special thanks for recommending this. 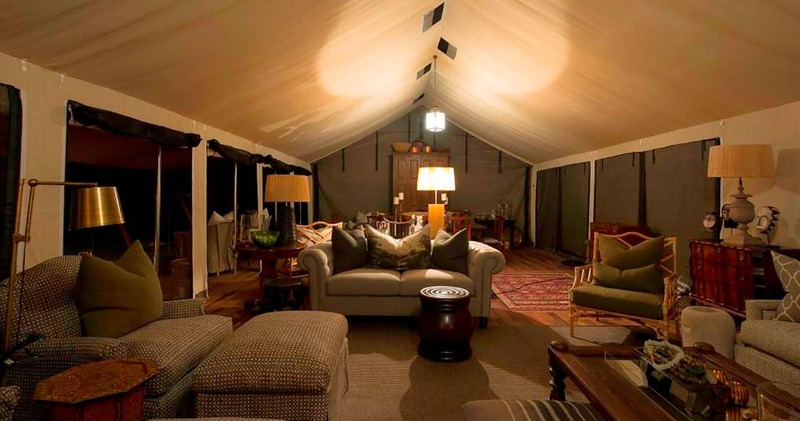 Little Machaba is a smaller (4 tents) newer camp overlooking the Khwai flood plain. Richard the Camp manager and BT the head guide were truly outstanding. It was an experience not to forget. 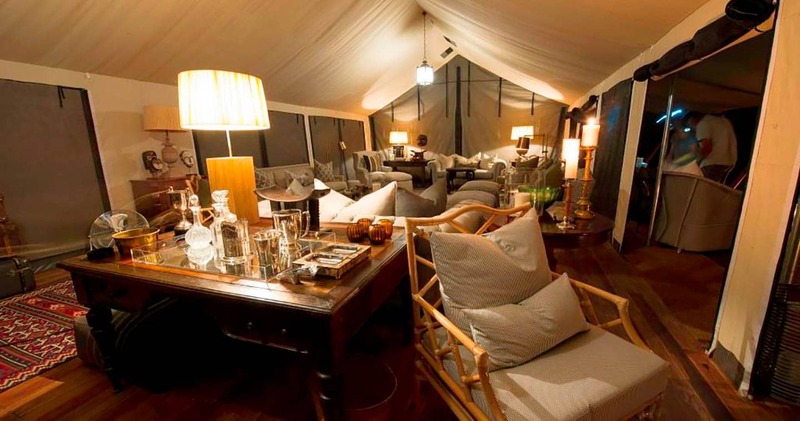 The camp is luxurious yet functional, the service attentive but not overbearing and everything worked well and was tailored to what we wanted to do or see. Food was varied, fresh and delicious and an effort was made to pair wines with the evening meals. Game viewing was excellent with wild dog, leopard, lion, elephant, hippo and the full range of antelope and very good birding for this time of year. We saw a Pels Fishing Owl which was a treat and BT was super knowledgeable on fauna and flora, big and small. Little Machaba is situated on the same island as Machaba Main Camp, but is run separately from Machaba Main Camp. Please note: A single supplement is applicable. Explore our big Moremi map for more. It's (pretty much) always sunny in Moremi! Read all about travelling to Little Machaba on our getting to Moremi page. Little Machaba is best accessed through Maun Airport. Children of all age welcome. We hope you have found all information needed to decide that Little Machaba in Moremi Game Reserve is the perfect place for your next travel adventure. Please fill in the contact form and we will get back to you soon!